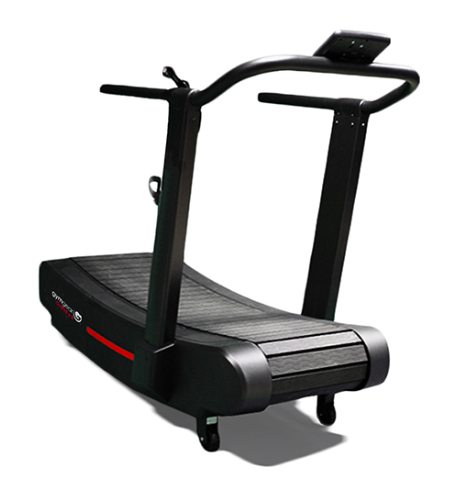 The Gym Gear Curved 2.0 Treadmill is a motorless curved treadmill. Using no electricity and instead of running on the energy produced by the runner’s own movement, beginners and competitors can run at desired speed and change output at will with no maximum or minimum speed setting. 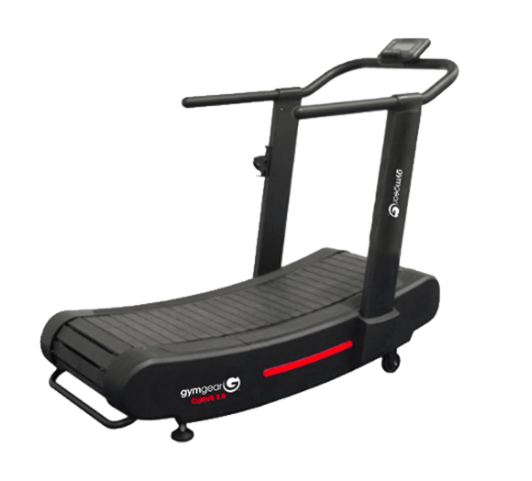 Built with HIIT (high-intensity interval training) in mind, the Curved 2.0 Treadmill’s console keeps you informed on your time, calories burned, distance, speed, watts, and pace, with a number of heart-rate and interval programs available. 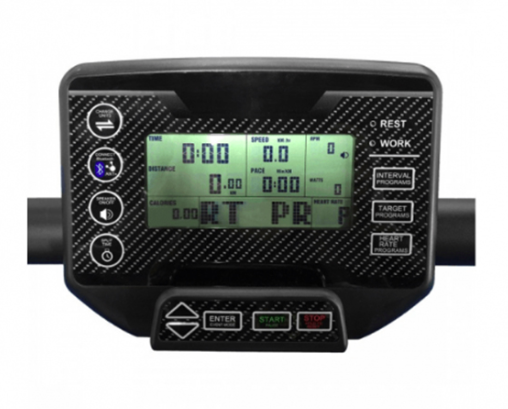 The display is compatible with a mobile fitness app which can be downloaded to your smartphone. 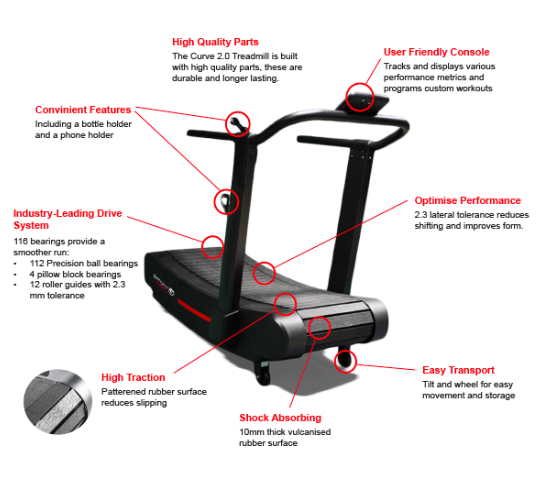 We’ve designed the Curved 2.0 Treadmill to be easier to maintain than comparable competitor models. With the Gym Gear Curved 2.0 Treadmill you can change the pillow-block bearing on the front and rear rollers in under 5 minutes without removing any parts from the internal frame.